Look out your window to see a stunning view of the Gulf, have breakfast, enjoy the beach or a stroll down the Naples Pier. The Pier at night is amazing--enjoy a 360 degree view of the ocean under the stars or come home to relax on the rooftop deck and enjoy the night sky. The Pier House is stunning home and the location is even better. This home has 4 bedrooms and 3 baths. The Main House features 3 bedrooms with expansive decks and views of the swaying palms and the Gulf of Mexico. The kitchen has bar and granite counter tops. The historic guest house, built in the early 1900s was a part of the Original Haldeman Estate and has been preserved with a few modern updates to ensure comfortability. It features it's own Master suite with a flat screen TV, living area with flat screen TV, dining room and kitchen. There is a Queen Sleeper in the living room of the guest house so that can act as an additional sleeping space if you have a larger party. 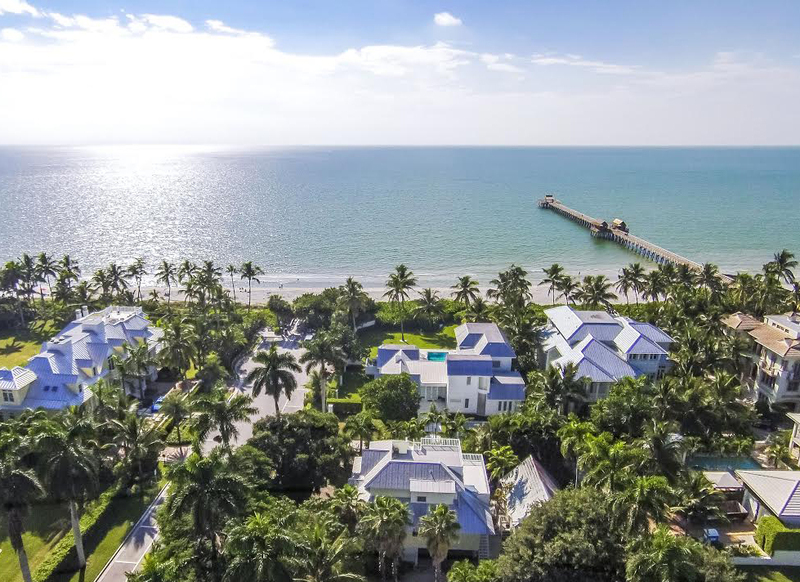 Welcome yourself home to a community where each avenue ends at white sand beaches and where the evenings culminate in picturesque sunsets framed by The Gulf of Mexico. Residents of Old Naples comprise a unique community of affluence with an enthusiasm for elegance and the love of the relaxed luxury atmosphere that Naples offers.